Growing up as a Czech-American in the shadow of the Second World War, I learned the heroic tale of the “Czechoslovakian” commandos who managed to kill one of the most dangerous Nazi leaders in the entire Third Reich. Assassination has gotten quite a bad name in recent years. We think of the JFK murder and of the subsequent changes in US foreign policy that put the tactic of assassination of any head of state-even of the most dangerous criminal-off limits, and we tend to condemn the practice out of hand. Even so, how many lives could have been saved if someone had the foresight to have assassinated Hitler and/or Stalin? Perhaps there are others who belong in that list also, but the actions of Hitler and Stalin could have been so easily predicted. Hitler put the pen to his evil and left us a book full of his nefarious plans. Stalin was so dangerous that even Lenin, at the end of his life, warned that he should be kept out of power. The Assassination of Hitler’s More Evil Successor? While those two were dangerous enough, there was a third man of incredible evil on the world stage during the time of the Third Reich. He was a fiercely competent, up-and-coming Nazi leader whom many expected would someday succeed Hitler in power. That man was Reinhard Heydrich. Assigned to oversee occupied Czechoslovakia (now two separate states, the Czech Republic and Slovakia), he conducted a brutal reign of terror over the Slavic inhabitants, whom the Nazis regarded with hatred and contempt. Were Heydrich to have become Hitler’s successor, he most likely would have continued Hitler’s evils, but with far greater efficiency. The story of the assassination itself is relatively straightforward. Two men-Jan Kubis, a Czech, and Josef Gabcik, a Slovak-had been trained in Britain, as were many other Eastern European resistance fighters during WW II. One was to conceal a submachine gun under his raincoat and the other was to hold a hand grenade, while waiting for Heydrich’s open-top car. The grenade would be tossed into the oncoming vehicle and the machine gun would pump Heydrich’s body full of bullets. But on the day of the assassination, May 29, 1942, the gun jammed and would not fire. The grenade was tossed under the vehicle. It produced only enough shrapnel to injure Heydrich, who rose from the explosion, drew his pistol and shot at the fleeing assassins. However, something unexpected intervened. The explosion had damaged Heydrich’s spleen and had driven contaminated upholstery fragments from the car into his body. An infection set in and Heydrich was dead within a few days. On what came to be his deathbed, Heydrich had ordered extensive and brutal reprisals. Even after the death of Heydrich, the Nazis obediently continued their reprisals against the Czech people, of which the most infamous was the destruction of the village of Lidice. All men and older boys were given shovels and told to dig what would be their graves. The women and children were whisked off to concentration camps where most of them died. The buildings of the town of Lidice were burned or otherwise destroyed, so as to leave no trace of the community. The Czech underground resistance movement hid Jan Kubis and Josef Gabcik at Saints Cyril and Methodios Church. The Nazis discovered the resistance hideout in the crypt below the church and began storming the building. The resistance fighters killed and injured many Nazis before realizing that their ammunition was in short supply. Rather than face torture and interrogation at the hands of the Nazis, the resistance fighters took their own lives in a final act of defiance. The story was told to us many times. The most notable was a television docudrama from a series called, if I remember correctly, This Is True. The battle scene at the church is still vivid in my memory. I do remember a clergyman suffering Nazi persecution as a result, but the fact that the Church was Eastern Orthodox either slipped my memory or had been covered up completely. The Czech Republic and Slovakia are not generally thought of as bastions of Orthodox Christianity. But for a quirk of history, it might well have been otherwise. About 100 years before the time of Martin Luther, Jan Hus was burnt at the stake for heresy. Hus died in the same way, and on the same day, as Joan of Arc. Like Luther, Hus saw the need to reform the Roman Church. Unlike Luther, he had planned to combine his movement with the Orthodox Church in Constantinople. Tragically, Constantinople fell to the Turks before those plans could come to fruition. Had Jan Hus succeeded, there might have been no cause for a Protestant Reformation. On September 6, 1987, The Orthodox Church of the Czech Lands and Slovakia canonized Bishop Gorazd for his martyrdom as a result of his heroism in the aftermath to the Heydrich assassination. Nazi hatred of Orthodox Christians was extreme, and it went hand in hand with their contempt toward Slavic peoples. While the Final Solution to the Jewish problem was well publicized, the Serbs, who are Orthodox Christians, were also high on the list of peoples that Hitler and company wished to exterminate. Hitler’s hatred of the Czechs was well known; he once called Czechoslovakia “a dagger in the heart of Germany.” His demand for what he called the Sudetenland-which included much of Bohemia, the largest province in Czechoslovakia-led to one of the savage Nazi land-grabs of the years before World War II. Therefore, the combination of being both Czech and Orthodox Christian would have put such an individual into two of the categories of Nazi hatred. Hitler’s reaction to the Heydrich assassination was predictable. He always took revenge for any sign of defiance with vastly disproportionate rage and cruelty. It also appears that Hitler used the Heydrich assassination as a pretext for hunting down and killing Orthodox Christians in Czechoslovakia. 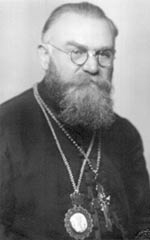 Bishop Gorazd wrote a letter to Nazis offering to surrender himself to their captivity in return for stopping their slaughter of his fellow Orthodox Christian countrymen. True to Nazi infamy, they not only arrested, tortured, and killed Bishop Gorazd, but also captured and killed over 250 other Orthodox Christians, including some priests. The Orthodox Church could no longer function until after the war, but thanks to Bishop Gorazd, many Orthodox believers survived. The Czech Orthodox Church thrives once again in the present-day Czech Republic. How the Orthodox angle to this story escapes notice is truly amazing. In the last hundred years or so, most parts of the world with a significant Orthodox Christian (a/k/a “Eastern Orthodox”) population have suffered at the hands of the Nazis, the Communists or the Muslim Ottoman Turks. In many cases, two or even three of these evil forces have persecuted Orthodox Christians. Yet, this persecution seems to go unnoticed in the Western world. During the 1999 Kosovo War, the media successfully mischaracterized the conflict as “ethnic violence.” Viewing it in those terms, the media were hard pressed to explain the “anomalies” where ethnic Serbs and ethnic Albanians had worked together to prepare for an invasion of the Kosovo Liberation Army (KLA). The explanation is simple enough-why wouldn’t Orthodox Christian Albanians and Orthodox Christian Serbs have cooperated to protect one another from the KLA or any other Islamic terrorist organization? President Reagan said it best when he remarked that any organization clever enough to use the word “liberation” in its name would be able to get away with murder. So it has been for the Muslim narcoterrorists of the Kosovo Liberation Army-at least for the time being. The very fact that Hitler felt secure in taking revenge on innocent Orthodox Christians in retaliation for Heydrich’s assassination was just one more example of the invisible nature of Orthodoxy. Had the victims been Baptist, Lutheran, Roman Catholic or Methodist, there would have been an international outcry of religious persecution. The people of the Orthodox Christian faith claim to be the remnant of the Early Church of the New Testament. The Roman Church claims legitimacy through Apostolic succession, and some other Christian denominations regard themselves as special sects based upon a revival of New Testament practices. But the Orthodox Christian Church is truly unique in claiming a faith unchanged since the time of the Early Church, perhaps since the actual time of the Apostles. There is an eerie sense that the level of persecution encountered by the Orthodox Christian community in the past hundred years is likewise similar to that directed against the Early Church. In fact, the twentieth century saw more persecution of Orthodox Christians than any other. The martyrdom of Bishop Gorazd is yet another spine-tingling example, and his heroism serves as an inspiration to us all. Greetings. Great and very TRUE article. The Czech Freedom fighters were exceptionally BRAVE MEN, And Women. I would like to learn more about them. Who fought for the RAF in Battle of Britain. My people in the old country sure took that Nazi invasion pretty seriously. We don’t have any special data that is not available online. However, the most amazing thing for me is the Orthodox presence in both the Czech Republic and Slovakia. Back in the day, all Czech either seemed to be Roman Catholic or in the seriously anti-Roman Catholic Bohemian Freethinkers Society, a secular movement that resembled a church in structure. Of course, back in the old country, the Roman Catholic Church was loaded with anti-Hapsburg priests. So, many, who outwardly appeared to be Roman Catholic were politically on the same page with their Bohemian Freethinker neighbors. Although small in number, this devout group of Orthodox Christians seem to tie the Czech people together as well as the Slovaks (they have two countries, but share one Orthodox Church). Jan Hus is a saint. St. Cyril and Methodios Church helped the resistance moment. As an ultimate act of defiance to Roman Catholic Hapsburg occupation (not ending until World War I), the Orthodox Church of the Czech Lands and Slovakia retains the old calendar (meaning they celebrate Christmas on January 7). 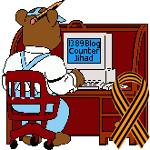 Thanks for visiting our blog and taking the time to comment. Previous post: See for yourself that “content filtering” is nothing more than privatized censorship!